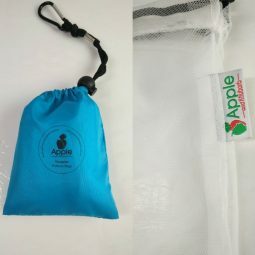 Apple and Rhubarb’s Reusable Produce Bags. Each mesh bag is made from 100% BPA free, recycled plastic drink bottles (rPET). 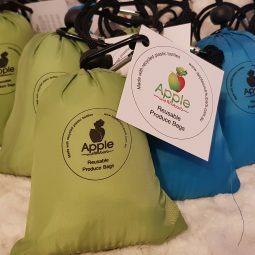 There are 6 mesh produce bags each with a drawstring that are stored conveniently in a colourful pouch, attached to a carabiner and carried easily. These mesh bags are perfect for carrying all your fruits and vegetables in, as well as, products such as seeds and nuts. Food items can also be washed while still in the bag and allowed to drip dry. Foods can also be stored in these bags in the fridge, instead of single use plastic bags. 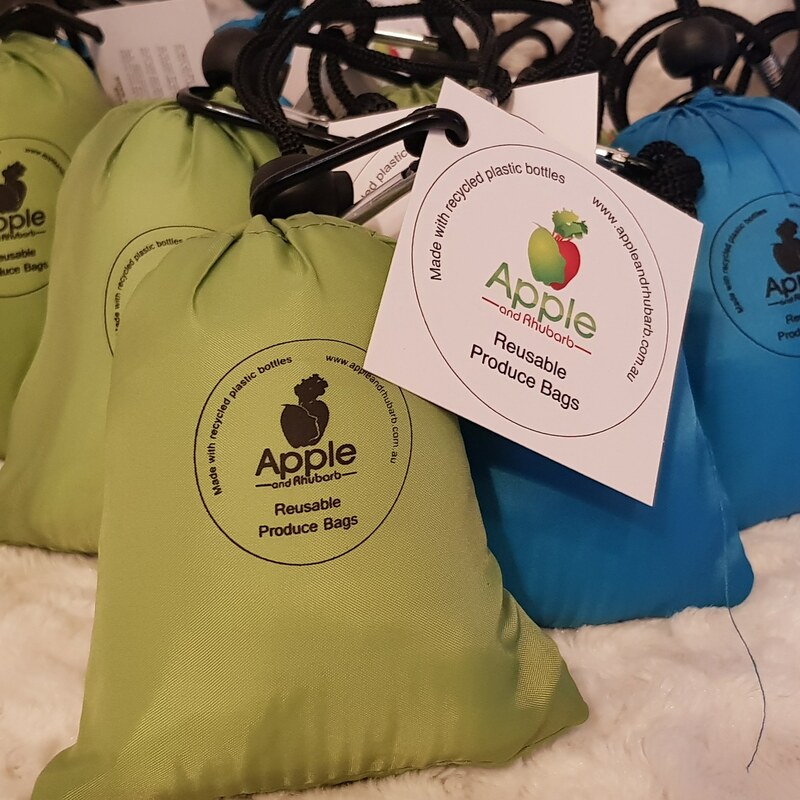 They are a fantastic way to replace the bags commonly used at supermarkets whilst doing your bit to help the environment we all inhabit. In this set, there are 4 mesh bags at 12 x 14 inches (30 x 35cm) and can hold up to 3kg of produce per bag and 2 mesh bags at 10 x 12 inches (25 x 30cm) which can hold up to 2kg of produce per bag. Gentle machine wash in cool water and line dry. Tare weight: 12g large mesh bags & 10g small mesh bags. I love these bags, they hold so much weight. Such a good idea. 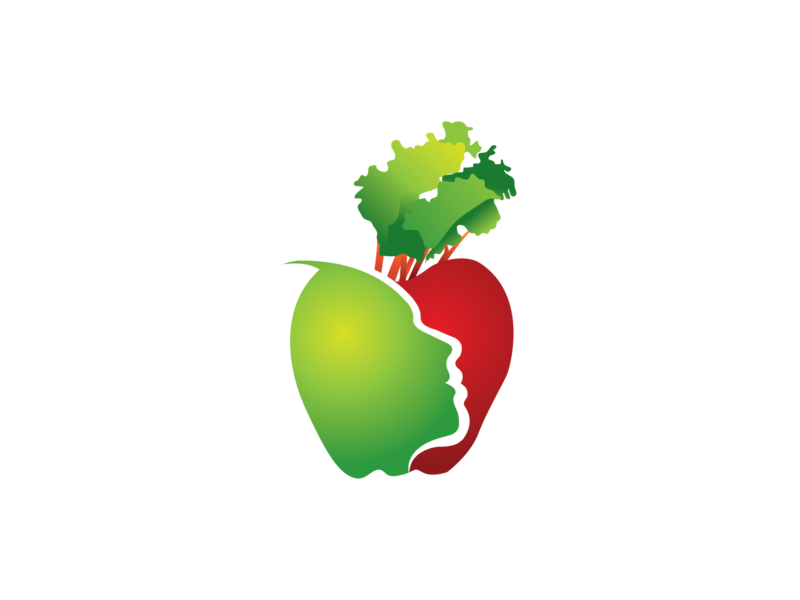 Why avoid using plastic at the register but not to package your fruit and Veg. I use them in the fridge and just put them in the washing machine with my regular wash to get them back to looking new again. I always have them in my handbag and i f forget my reuseable shopping bags for the groceries i have even used theses for that.